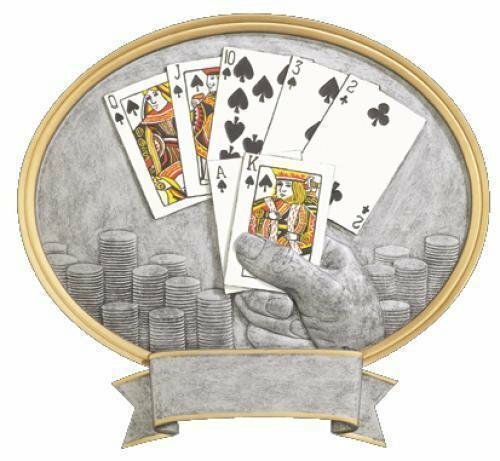 Poker awards and gifts help commemorate that special player. 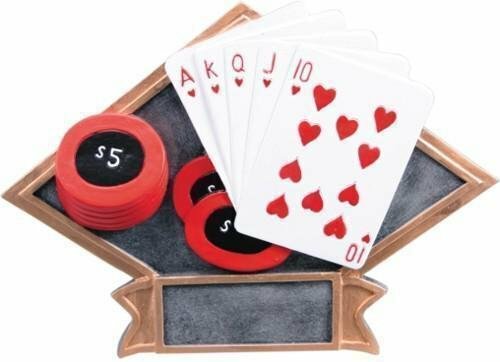 Whether you need an economy award or a personalized gift, you are sure to find the perfect poker gift. FREE Shipping on orders over $100. FREE Engraving. 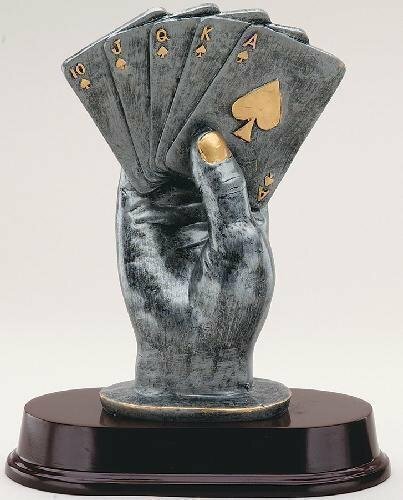 An Elegant Pewter and Gold Hand of Cards Award on Dark Finish Base with room for an Engraving Plate.